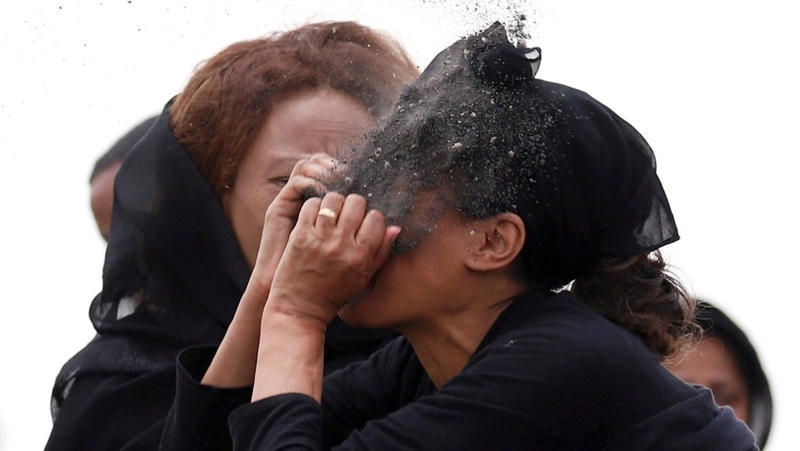 Grieving family members of those who died in the Ethiopian Airlines plane crash are being given sacks of earth to bury in place of the remains of their loved ones. The Ethiopian Airlines plane crashed six minutes after taking off from Addis Ababa airport en route to Nairobi, killing all 157 people on board. On Sunday, officials began delivering one-kilogramme sacks of scorched earth taken from the crash site, members of two different families told the Associated Press news agency, because identification process for the bodies is taking too long. They spoke on condition of anonymity to avoid any possible government reprisal. An Ethiopian government official, who also asked not to be named because they were not authorised to speak to reporters, confirmed the deliveries of soil. Forensic DNA work has begun on identifying the remains but it may take six months to identify the victims, because the body parts are in small pieces. However, authorities say they will issue death certificates of the victims that came from 35 countries within two weeks. 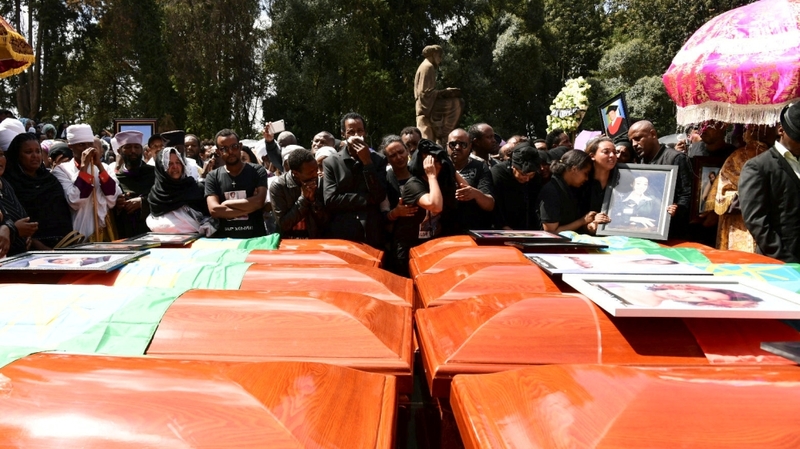 Thousands of people turned out for a mass memorial service for the dead in Addis Ababa on Sunday, one week after the crash. Some victims’ relatives fainted and fell to the ground during the procession through the Ethiopian capital. Bouquets of white roses surrounded aviation staff as they gathered at Bole International Airport to remember the two pilots and six crew members, who perished along with 149 passengers. Banks of the white flowers, the traditional colour of mourning, were placed in front of a row of empty coffins at the ceremony. In Paris, investigators are examining flight recorders to determine why the aircraft plunged into a field shortly after the takeoff from Addis Ababa, searching for similarities to an October Lion Air crash that killed 189 people. Both crashes involved the same model of the plane – Boeing 737 MAX 8 – causing aviation authorities to ground the model around the world after the last week’s accident.